Comment on About Me by Sharice Flemister. Hello Farnaz, Ive just discovered your book while I am dealing with my own acne/skin issues. I am 40 years old and before 3 years ago had NEVER had any issues before. Ive desperately been trying to find the underlying cause of it. They seem to help at first, but then I get “that look” , that tells me that they don’t know what else to do.Ive been thru so many dermatologist I think Ive tried almost all of them in the state of Georgia. Something’s got to give! It’s affected my self esteem where I don’t even want to go out in public anymore ( and I have a job where I work with the public). I do believe that there are no coincidences in life and that’s why I found your book after searching for yet another skin ailment cure. 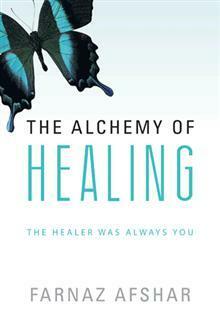 I hope that you can give me insight into your healing as well as my own. I want to re-join society. I’m tired of shunning people because of my skin.